<img border="0" hspace="4" align="left" src="http://pravmir.com/wp-content/uploads/pravmir-images/pol.jpg">"Oh, I'm so glad, GLAD, GLAD to see you," cried an eager voice in her ear. "Of course I'm Pollyanna, and I'm so glad you came to meet me! I hoped you would. And I've been wondering all the way here what you looked like," cried the little girl, dancing on her toes. And now I know, and I'm glad you look just like you do look." already she knew that her mistress did not usually hurry. wiping the pitcher in her hand. did not add to her composure. when knives and doors were still. might–might brighten things up for you,” she faltered. welcome for this lonely little stranger. Miss Polly lifted her chin haughtily. should particularly WANT to have the care of them myself. pitcher–now so cold it must be rinsed again. died two weeks ago, leaving one child, a girl eleven years old. and had a very meagre salary. take the child and bring her up among her own people in the East. Hence I am writing to you. 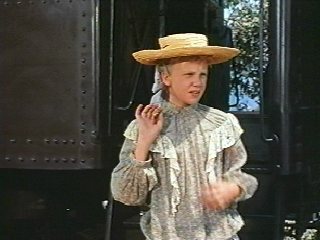 train to expect Pollyanna on. well enough for that!–disagreeable as the task would be. full of youth”s ideals and enthusiasm, and a heart full of love. she had been but a girl of fifteen, the youngest, at the time. The family had had little more to do with the missionary”s wife. from the minister himself, dated at a little town in the West. twenty-five years had brought to her. advice. She was not lonely, she said. She liked being by herself. perform it. 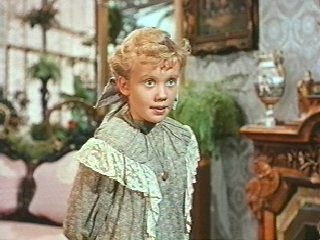 But–POLLYANNA!–what a ridiculous name! spite of her frightened submission to her mistress, was no saint. the winter, too, and all this big house ter pick and choose from! looked about the bare little room in plain disgust. paths about the place for uncounted years. “Yes, she might be,” nodded the old man. Old Tom frowned. The next moment a curious smile curved his lips. Polly in the house!” snapped Nancy. “I”m afraid you ain”t fond of Miss Polly,” he grinned. “As if ever anybody could be fond of her!” scorned Nancy. Old Tom smiled oddly. He stooped and began to work again. served and loved for long years. Old Tom shook his head. imitation of it–she has, she has!” sniffed Nancy. “twa”n”t for the wages and the folks at home what”s needin” “em. bent his old head to the work before him. “Nancy!” called a sharp voice. “Y-yes, ma”am,” stammered Nancy; and hurried toward the house. again, and left the room. “No, I shall not go. It is not necessary that I should, I think. the comfort of her niece, Pollyanna, were complete. the dish-towel she was ironing. Nancy drove off in the open buggy to meet the expected guest. if Old Tom was Miss Polly”s right-hand man, Timothy was her left. took the drive to the station and alighted to wait for the train. wondering just what sort of child this Pollyanna was, anyway. us,” grinned Timothy. “Imagine Miss Polly and a NOISY kid! Gorry! repeated, trying to straighten her hat. sweeping the embarrassed Nancy from head to foot, with her eyes. words had been most confusing. “This is Timothy. Maybe you have a trunk,” she stammered. Timothy. Timothy”s eyes were studiously turned away. Pollyanna herself snugly ensconced between Nancy and Timothy. on, with a brave lifting of her head. “Glad!” gasped Nancy, surprised into an interruption. her turned suddenly into shocked terror. “You–you AREN”T?” stammered the little girl, in plain dismay. “No. I”m only Nancy. I never thought of your takin” me for her. the merry flash from his eyes. Timothy laughed outright this time. “But there IS an Aunt Polly?” demanded the child, anxiously. “You bet your life there is,” cut in Timothy. Nancy flushed. Timothy turned to her with a quizzical smile. “I–I was thinkin” about–Miss Polly,” faltered Nancy. “She does. You can see it now,” said Nancy. it! I never saw such a lot of green grass, seems so, all at once. “I”m so glad. It must be perfectly lovely to have lots of money. like Mrs. White”s did–that is, I ate hers, you know, lots of it. “I–I don”t know,” answered Nancy in a half-stifled voice. 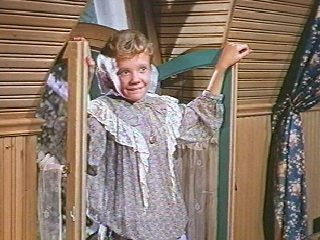 like Aunt Polly”s all the better–not being used to “em, you see. turned into the wide driveway. “Leave! I should say not,” grinned the youth. with “duty” written large on every coldly extended finger. 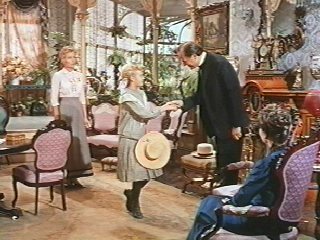 “How do you do, Pollyanna? I–” She had no chance to say more. into her aunt”s scandalized, unyielding lap. Nancy in the doorway. “Nancy, that will do. You may go. through the filmy mesh of lace curtains flashed in her eyes. her was plain and sensible, thought Miss Polly. open a door at the right. Her aunt With the click of some buttons, anyone can create ads that encourage people to ‘like’ items on Facebook, install apps, visit other web construction-jobs.info s and more. frowned. and water pitcher. “I will send Nancy up to help you unpack. covering her face with her hands. and drawing the little girl into her arms. “I was just a-fearin! “No more they did, neither,” declared Nancy, stoutly. “There aren”t very many there, anyway,” she faltered. “Then they”re all the sooner unpacked,” declared Nancy. “That”s so! I can be glad of that, can”t I?” she cried. “Why, of–course,” she answered a little uncertainly. putting away the undergarments in the bureau drawers. so?” she stammered, after a while. little wistfully at the bare wall above. To Pollyanna”s surprise and dismay, Nancy burst into tears. Pollyanna hurriedly crossed to her side. and went clattering down the stairs. was leaning far out, drinking in the fresh, sweet air. discovery–against this window a huge tree flung great branches. To Pollyanna they looked like arms outstretched, inviting her. picked herself up and looked eagerly about her. worth being in–the top of that big rock. through the open field. Then, determinedly, she began to climb. rock must be, when back at the window it had looked so near! Nancy sounded the bell for supper. happen to be looking at Nancy”s face just then. back stairs and thence to the attic room. down-stairs and out to Old Tom in the garden. wind-blown figure was poised on top of a huge rock. that led through the open field. Pollyanna had just regretfully slid. little girl”s hand under her arm and hurrying her down the hill. promised the little girl, cheerfully. “I”ll help,” promised Pollyanna, promptly. 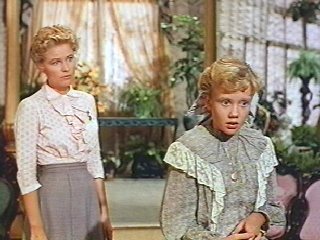 “Oh, Miss Pollyanna!” demurred Nancy. For a moment there was silence. The sky was darkening fast. Pollyanna took a firmer hold of her friend”s arm. “cause then you came after me,” she shivered. Pollyanna”s brave attempts to like the bare little attic room. gathering twilight her face looked thin and wistful. Pollyanna with almost fearful eyes. of the house with nothin” in it,” growled Nancy. “Humph!” choked Nancy, trying to swallow the lump in her throat. know. I”ve got so used to playing it. It”s a lovely game. though,” she added, as an after-thought. “My stars and stockings!–HER!” breathed Nancy, behind her teeth. “Oh, Nancy!” exulted Pollyanna, giving her a rapturous hug. as they entered the kitchen together. aunt sat reading. Miss Polly looked up coldly. Aunt Polly sat suddenly a little more erect in her chair. be at half-past seven. See that you are down to that. aunt”s side and gave her an affectionate hug. Polly again, as she took up her book.